As current editor of 'Time and Mind', and ex-editor of 'The Ley Hunter' (1976-1996), Paul Devereux is probably the most important name in British Earth Mysteries. Here he talks about his career, his training as a painter and his time living in Cornwall. Interview by Rupert White. You went to Ravensbourne College of Art in the sixties. What kind of art were you interested in then? I was a painter. I believe in painting as art, and don’t like seeing video in art exhibitions. I’m old fashioned in that regard! My favourite type of painting was Abstract Expressionism. On one occasion, I recall, I was greatly taken by a painting by the Abstract Expressionist, Adolph Gottlieb. I saw it in a magazine and really wanted to see it for real, but missed it when it showed in London. But in my first foray as a young student to Paris, I walked unknowingly into an exhibition and saw it staring me in the face. The first of a great many coincidences in my life. Did you pick up on the Earth Artists like Robert Smithson? I was very aware of them and some of the Land Art was quite effective, I thought. But with my own painting (eg right and below x3) I became more involved with the geometry and ground plans of ancient sites. After Art School my work was more ‘hard-edge’ geometric abstraction. Then I incorporated some representational imagery of ancient sites mixing with the geometry in various ways. Had you grown up in London? No. I was from Leicester originally, then did a Foundation course at Loughborough Art College, and thereafter came down to the 'big smoke'. Did other things happen at College in London, that were formative or influential? 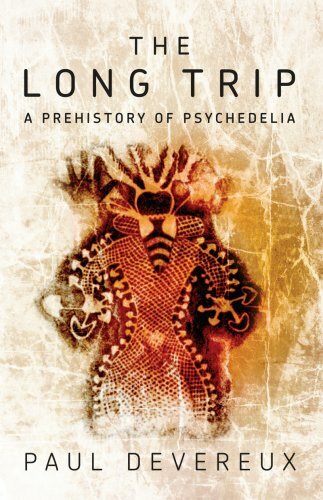 Access to LSD was a big thing. I was in on ‘Swinging London’ before it became a fad. I had a profound experience under LSD. I’d written to Aldous Huxley asking ‘where could I could get hold of that mescaline that you talk about in 'Doors of Perception'?’, and he did actually write back. I ended up having some Sandoz LSD dribbled on three sugar cubes, but I didn’t know anything about dosage. One cube would have given a heavy trip, but I tossed all three back. I went on a serious trip, that yielded both deeply mystical and occult experiences. In the occult phase, I could see auras around people, and for a period in the trip I had X-ray vision. The more profound part of the experience, though, was the mystical – I went beyond, outside, time and space; I died to my ego, I went somewhere without my self, so to speak, and encountered an almighty power, a force that underlies all existence. A bit before – March 1966. I had some experimentation afterwards as well, but nothing was as massive as that first one. In May of 1967, though, I had an extraordinary, non-drug experience that triggered a mild mental breakdown. I was working late for the Diploma show in the top floor studio of the college, about four storeys up. There were a few of us working away. I moved to the north-facing window to mix some paints in daylight (it was about 6PM) when something caught my eye. I looked up, and from the north heading south towards the College was an orange glow in the sky. As it got closer it was clear that it was a perfect - I mean perfect - rectangle of orange-coloured light, and it was pulsing. It came to a halt over Bromley Common. It was a glowing upright rectangle, like a flaming door in the sky. People came onto the car-park below, pointing up at it. I hoarsely called out to the others in the studio: "Come and look at this!". Nobody bothered at first, but I shouted out again and they caught the urgency in my voice, so moved over to the windows. As we all looked in awe, I glanced sideways at my companions. I found it was true - when people are amazed their jaws do drop open. It didn’t fly away, it went through some remarkable shape changes, and finally faded to a rosy smudge in the sky. The next day the word about the phenomenon had got around, and someone who hadn’t seen the thing asked if I’d seen a UFO. I don’t know if it was a UFO, but it was something pretty weird, more like something out of a visionary bible. It was incredible, and it affected me to a point that I couldn’t take the standard message about the nature of reality we are fed in mainstream society any more. For a few months I had what might be called ontological shock. I've followed my own star ever since, as an independent writer, researcher and speaker. When I look back and talk about it like this, it seems like something from a biblical age. It was extraordinary. And whether it was because millions of people were penetrating the mists of consciousness with psychedelia I just don’t know. It was a moment of high idealism when the music and art world came in close contact with direct forces of inspiration, and there was a tremendous fluorescence of creativity. Given your later role as a magazine editor, how much were you also influenced by the underground magazines that were around in the sixties? I read them all. 'International Times', 'Gandalf's Garden', that sort of thing. It was through them that I became interested in the idea of leys. Paul Screeton told artcornwall.org that he first became aware of leys reading John Michell in International Times. Michell was very formative, and the idea of leys was generally in the air. I subscribed to The Ley Hunter under Paul’s editorship. You were one of the people at the Mystic’s Picnic (1971) with Paul, John Michell and others, so must have been involved from an early stage. Yes, I was. Happy times. 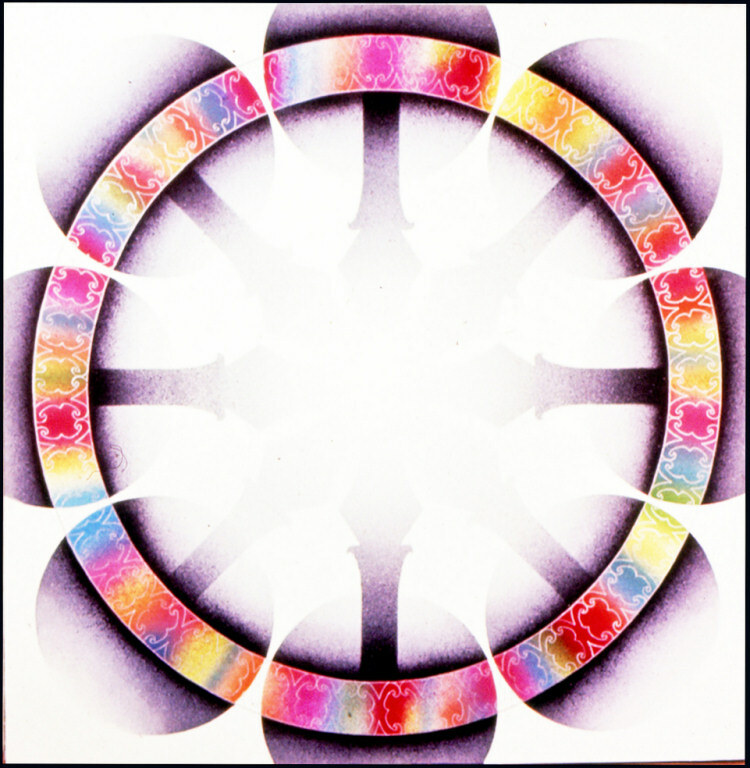 You were still exhibiting as an artist throughout the 70's. You were in the John Moore’s Exhibition, and at the ACME Gallery for example. Yes. At ACME we had a group show on Earth Mysteries. One critic said my painting was a collision between Op Art and archaeology! It was organised by RILKO (Research into Lost Knowledge Organisation). That’s right. I used to teach at a school during the day in London, and run evening classes on what was then called Earth Mysteries, which I’d do two or three times a week. The evening classes kept me sane. They were in Kensington, Swiss Cottage, and the Institute of Adult Education in the West End. Places like that. Much later, some young archaeologists told me they went into archaeology having been inspired by the classes. The classes were the foundation of my career as a freelance lecturer. This was probably mid-seventies onwards. I took over editorship of the Ley Hunter in 1976. And presumably you were doing a lot of your own research at that time, because there wasn’t much written then? Interest had grown in the psychedelic sixties and everyone was dowsing themselves insane! But some of us bothered to research where the idea of leys and ‘energy lines’ came from. Originally, of course, from Alfred Watkins back in the 1920's, with his idea of old straight tracks, but the 1960's/70's renaissance of interest of leys as ‘energy lines’ originated with a novel from the 1930's. The Dion Fortune novel, 'The Goat-footed God'? That’s correct. And there were other people who had put about this idea of leys as mystic lines of energy. Then the message about leys got over to America, where it got linked with energy dowsing and was exported back to us (around 1974) and taken up with great gusto. At the time you were accused of being a maniac scientist if you dared to question the intuitive splendour of someone with a bent rod. It wasn’t the politically correct thing to do. But in 1977 we launched 'The Dragon Project' when it became clear that no-one had actually done any accountable research on ‘energy lines’, or even ‘Earth Energy’ in general. It was simply an idea that was floating around that people were taking for granted. It emerged at the same time as transistor radios with their printed circuit boards, and I think that image had a lot to do with it. 'The Dragon Project' was an important part of your early career. You were looking for empirical evidence for these earth energies, particularly as manifested at sacred sites. We did three things. People were talking about energies – so lets see if there are any measurable energies. That was the first plank. Secondly, people were dowsing for energy - so here was a chance to see if there’s an objective basis behind that. Thirdly, we introduced psychometry. Much later, in the 1990s, we undertook dreaming at ancient sites, monitored and properly done. Much like a modern version of the temple sleep idea of the Ancient Greeks, the Aesclepieions. The book 'Places of Power' (1990) was effectively a report on the Dragon Project. I'm rewriting an updated version of that now and incorporating the Dream Work. In the project, we wanted to measure radiation at the sites. 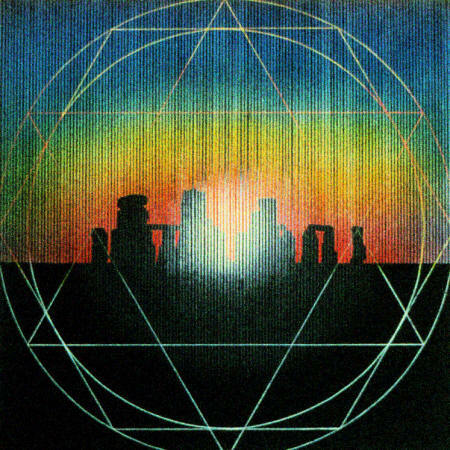 We had to conduct measurements for three months at and around the Rollright Stones, that site that was our defacto headquarters in the field, doing really detailed Geiger-counter checks to find out what is an anomaly, because radiation varies each day. Cosmic radiation and radiation from the ground. 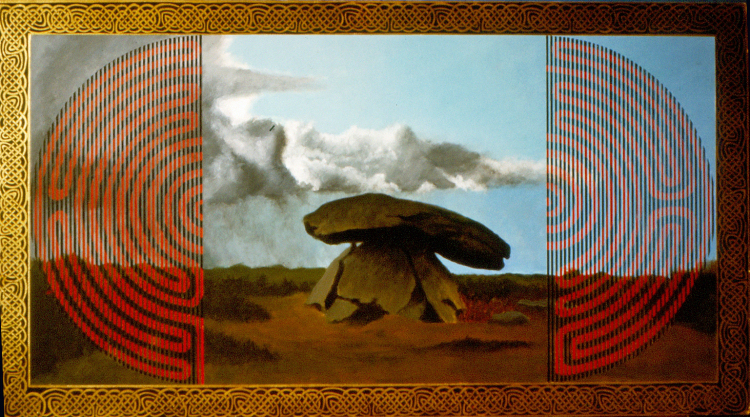 Granite is radioactive, and a little dolmen encased in granite is going to have a higher than background reading. 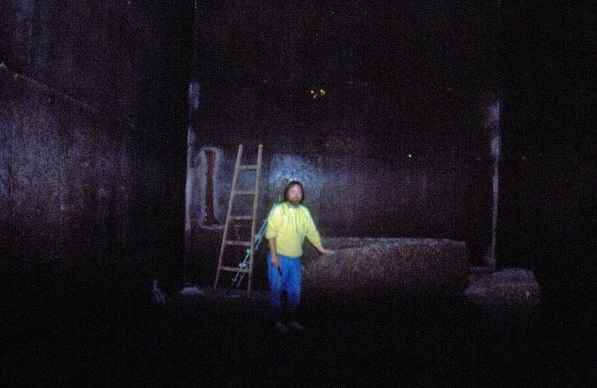 We even did this in the King’s chamber in the Great Pyramid (picture above), which is clad in granite, and it has a radiation reading about five times higher than the desert around it. Then we had people, Dragon Project volunteers who didn’t know one another, independently reporting hallucinatory experiences in the higher radiation zones. What we did with this work is open up whole areas of new research in this area. It was all we could do with our limited resources. It still awaits further, properly resourced investigation. We’re now incorporating archeoacoustics - the study of sound at ancient places (picture below right). 'Places of Power' came out in 1990 just after you and wife Charla moved to Alma Place in the middle of Penzance. Why did you move to Cornwall? It was an accident. We were going to move to Monmouth, and we nearly bought a house there, but we had to go to Cornwall to do some research near Land's End, and for entertainment we'd look in Estate Agent's windows. As fate would have it, we found a three-cornered house in Alma Place and we fell in love with it. The house we were going to move to would have been nearer to motorways and communications, but we gave all that up and cancelled the Monmouth purchase, much to the anger of the owners. There was a lot of work needed doing to the Alma Place house, but we moved there. It was wonderful living there. Doing everyday things like going to the Post Office and glimpsing the blue sea between the buildings on the way. I wasn’t a stranger to Cornwall. I'd visited it several times before as it’s a very rich archaeological region, of course. And I've always been naturally interested in the St Ives School of Art. It's not entirely to my taste but I'd been interested in Peter Lanyon, and one of my tutors, John Dalton, was a great friend of Lanyon's. Cheryl Straffon had started up Meyn Mamvro, and Craig Weatherhill and Andy Norfolk were already active in Cornwall. What about someone like Doc Shiels? I first bumped into him at a Fortean Times conference. I remember howling with laughter. He was such an entertainer. I was friends with Bob Rickard (founding editor of Fortean Times). Still am. And of course there was Colin Wilson (writer). I had quite a few meals with Colin. There wasn’t an Earth Mysteries group when I moved to Cornwall, so I put it to Cheryl and we started one up. I got Colin to speak at one of them, though he was three sheets to the wind [laughter]. Colin liked his wine - or to put that more kindly, he was a 'bon viveur'. I remember reading 'The Outsider' when it first came out. That excited me. I thought it was a fantastic book. He of course went on to write dozens of books on the occult and forteana. I asked Colin to contribute an article on the 'Windsor Horror' to The Ley Hunter. On one occasion, I bumped into him in New York. He'd been doing a workshop at the Open Centre there and we joined him at his hotel for an evening meal. His whole family were sleeping in a couple of rooms. I asked him what topic did he deal with in his Open Center workshop? He answered, 'Well, me of course!' [Laughter]. 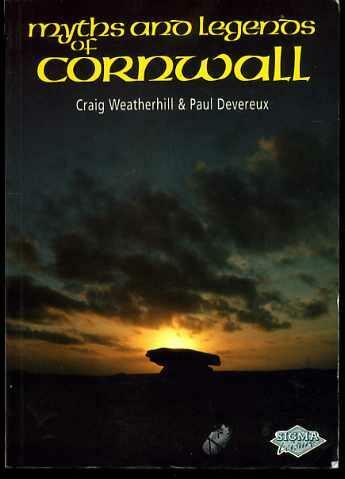 You worked with Craig on 'Myths and Legends of Cornwall'? I left Craig Weatherhill holding the baby at the end. I had to split because I was doing other things, and leave Cornwall. I wrote quite a lot of it, but not as much as Craig had done, and he got it all finished. As you were leaving Cornwall, towards the end of your time as editor for The Ley Hunter, you were writing about the 'lunacy of energy lines'. You seemed increasingly worried about the credibility and status of Earth Mysteries. It became devalued. It became a corridor of mirrors. People would pick up stuff in a magazine, then would go on and proselytise it even more and you’d get far away from any reality. There was the big St Michael Line nonsense. That was nonsense, but it was read widely and believed in. The best St Michael site in Cornwall – Rame Head – was miles away from it. Not only that, but in my time in Cornwall the position of this imaginary ley line moved sideways five miles according to those who wrote about it. Let’s say it was a moveable New Age feast! The original idea was John Michell’s. He’d stretched a taut horsehair across a map of southern England linking a site in East Anglia with Land’s End and passing through Avebury and a handful of other sites. If you run a line 400 miles through Britain you are inevitably going to hit a lot of ancient sites, including the most popular church dedications of St Michael and St Mary. The so-called St Michael Line was remarkable for how few sites it hit. I knew John, I talked to him about it, I knew what the source was. Then it got caught up with dowsing and energy lines. Oh dear. Life is too short. What a waste of time and mental energy! I’d met Sig Longren in America, and was one of the leaders on his UK ancient sites tour. He was talking about beams of energy coming down from space and hitting the ground and turning right angles. Look, it was bonkers, there’s no two ways about it. And these New Age energy dowsers never put themselves under test to see if there is anything objective about their claims. And now I understand we have to consider energy dowsing as being ‘intuitive'! But that’s not to say I don’t believe in dowsing. Objective dowsing where you’re looking for lost objects or water can occur in gifted people, and less reliably so in beginners. It is a form of what I call primary sensing. At my evening classes I used a row of plastic cups holding, variously, salt or sugar or unadulterated water. They all looked identical. I’d ask people to see if they could dowse the difference. And one old guy shuffled in, just because he had nothing else to do, and it turned out he could dowse it accurately every time. Most people, all people in the classes actually, didn’t do better than chance (and that includes me!). Any dowser should test themselves like this. In Cornwall, one water dowser, I think his name was Don Wilkins, felt that a lot of energy dowers were either kidding themselves (it’s easy to do) or else dowsing water without understanding what they were picking up. No. And he didn’t even acknowledge me last time we met, because I had dared to challenge him. Dowsing from a car or aircraft, or making unaccountable claims - you don’t do it. It becomes self-delusion. Then if you write a book or do a workshop, you get acolytes, and you simply spread your own delusion. We see it politically today: if you repeat a lie or misunderstanding often enough, it becomes taken as fact. I do think Hamish Miller was probably a good water dowser, though. Nigel Pennick wrote a sceptical review of Hamish's book 'The Sun and the Serpent' for The Ley Hunter. Nigel was rightly very critical. Due to the ‘New age-ification’ of Earth Mysteries we lost a lot of serious, research type of people. People who would have taken Earth Mysteries in a more accountable direction. There’s stuff out there that is mysterious and needs looking at. But it got lost in a swamp of nonsense and New Age-ism. And so I thought bugger this, I'll go and do my own thing. Since 1979, I've now written 27 books. Mainstream, published books. Look, more people read the Sun than a more serious broadsheet, so if you want a big sale you write a load of tosh. It’s the way of the world unfortunately. I’ve tried to stay intellectually honest. You’ve used the term ‘consciousness studies’ to describe some of your more recent work. Can you explain what this is? It’s a collective term for studies of human consciousness. Particularly psychedelics, and meditation and lucid dreaming, where you go deeply in, and experience other levels of consciousness. I had my first lucid dream in 1989 in, of all places, Chicago. I think it was induced by the experience of it being the first time I slept on a water bed! What I realised with lucid dreaming, is that when you experience a level of consciousness that is higher and more powerful than everyday consciousness, everyday consciousness itself looks like an illusion. 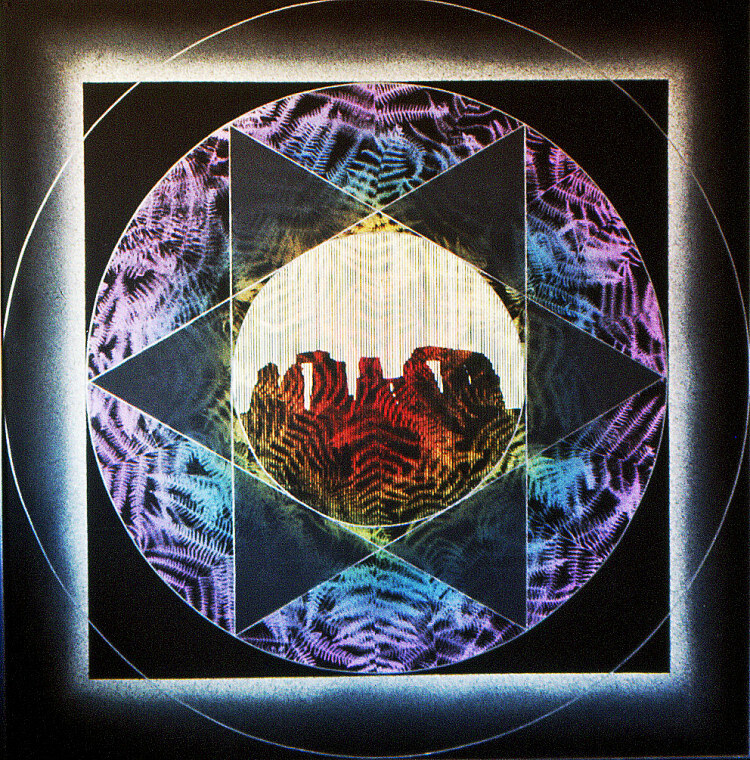 In lucidity, you wake up inside a dream when all five of your senses seem to be working and there's real Euclidian 3D space around you and everything is vivid and clear, but you can fly and meet strange beings. You soon realise this is a total facsimile of everyday reality. You start to question that if the brain can produce this, what about my everyday reality? Is that some form of sustained hallucination? Then you come on to the Hindu belief in Maya and the Veil of Illusion. Sounds like it's another subject that moves across disciplines, particularly psychology and anthropology. I got interested in the experiences of anthropologists who discovered things that we, in our tribe, would call paranormal, that they didn’t talk about until they’d retired because they didn’t want to ruin their careers. I wanted to get a book out about this but have never been able to find a publisher. That was the basis of our work for the Royal College of Art. I worked with Jon Wozencroft, who is a Senior Lecturer there. We decided we should go into the landscape, and use our eyes and ears as if they are Stone Age eyes and ears. That was the premise on which we did our work in the Preseli Hills - the Carn Ingli range of rock outcrops, where the bluestones of Stonehenge originated. The study, which was massively covered by the media when our paper came out, had both visual and audio elements. We were able to detect a pattern of natural features being venerated, in a way that preceded the later monuments. 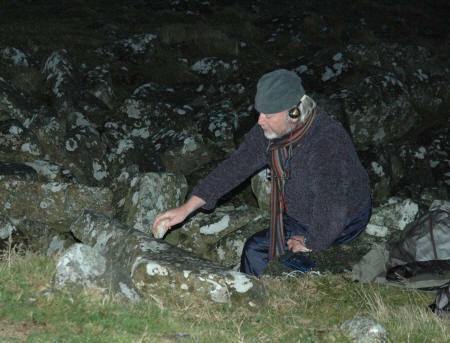 But, more spectacularly, we discovered that the origin areas of the Stonehenge bluestones on and around Carn Menyn comprised a soundscape of rocks that ring with metallic or musical tones when struck with a small hammerstone. Such ‘lithophones’ were greatly prized all over the ancient world, and we feel that the builders of Stonehenge thought likewise. We took a clue from a guy called Bernard Fagg who in the 1950s studied rock gongs (as he called them) in Nigeria, where rocks are used like drums. He idly mentioned in passing that many rocks on Preseli rang when struck. I went to test this in 1985, and this led to the full-on field study by Jon and myself, backed by the RCA. We’ve now built up a library of ringing rock sounds from the source area of the blue stones. And the research was also written up in 'Time and Mind'? Yes. Towards the end of my tenure with The Ley Hunter, another journal called 3rd Rock came out, and it dealt with the same subject area very competently. I got friendly with the editor, Neil Mortimer, and he and I agreed that there needed to be something that stood between, bridged, academia and Earth Mysteries, something responsible and accountable. 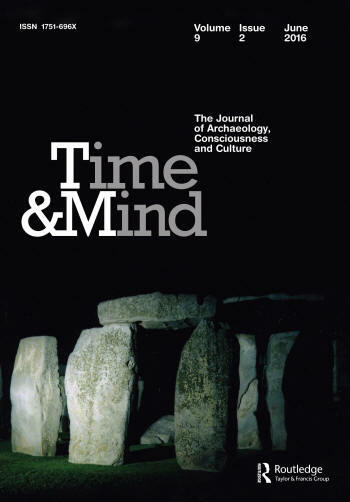 So we came up with Time & Mind, the Journal of Archaeology, Consciousness and Culture. We had to endure four years of peer review by librarians and scholars across the world. Fortunately we had some serious archaeologists in this country backing it, and it finally got through. So by this time you'd built bridges with the archaeologists? Yes and no. The older archaeologists had really attacked Earth Mysteries in the 1960's and ‘70's. There are still some old lags who can’t even accept Time & Mind. But the younger generation of archaeologists and anthropologists are, by and large, not hostile. Ironically, it is the New Agers who tend to be unsupportive of this breakthrough journal. I call it ‘grown-up Earth Mysteries’ because the articles in it, even if challenging at times, are properly researched and referenced, and not driven by a belief system. No, because it became associated with New Age Earth Mysteries. I still get called Paul Devereux the ley-hunter in some quarters, and in others I'm still reviled by some of the old New Agers. In my 'Shamanism and the Straight Line Mystery' I’d unpicked what the ley idea was – a mix of a sham and a misunderstanding. And yet some of the work that was done in ley-hunting was valid, and laid the foundation for better research later on. Next year, 2017, will be the tenth year of the publication of Time & Mind. We are having as special issue in the March edition dealing with archaeoacoustics – it’ll be a humdinger. Making the old stones speak. How do you feel about modern people who hold rituals at the sites? All kinds of people do this now, including people like Cheryl Straffon. I’ve always thought Cheryl's writing was good, and sensible. But I am not into Neo-paganism myself. Some people need a religion others don’t. I’ve certainly been into spirituality ever since the sixties. I’ve had a number of dramatic spiritual and otherworldly experiences, but I just don’t like religion. Religion starts where spirituality ends, in my view. And I can have magical and mystical experiences with nature without the need for any sort of ‘ism’. But, everyone to their own. Ritual is often about people with shared values coming together, which relates to Durkheim's definition of religion. What the anthropologist Victor Turner called communitas. But you can get that anyway outside of organised religion. In the end, the spiritual path is a solitary one. I was interested in Sufism for a while. I liked it because it was inclusive. It wasn't hidebound. I said to one of the Sufi elders in America: 'I don’t know about this. I don’t know if we need religion'. And he said 'you need religion so it disciplines you in spiritual practice'. I can buy that, but I don’t accept it personally. But I can see some people might need that, and in the same way some people need Neo-paganism. But I can have a spiritual experience in nature, without that, and I do. 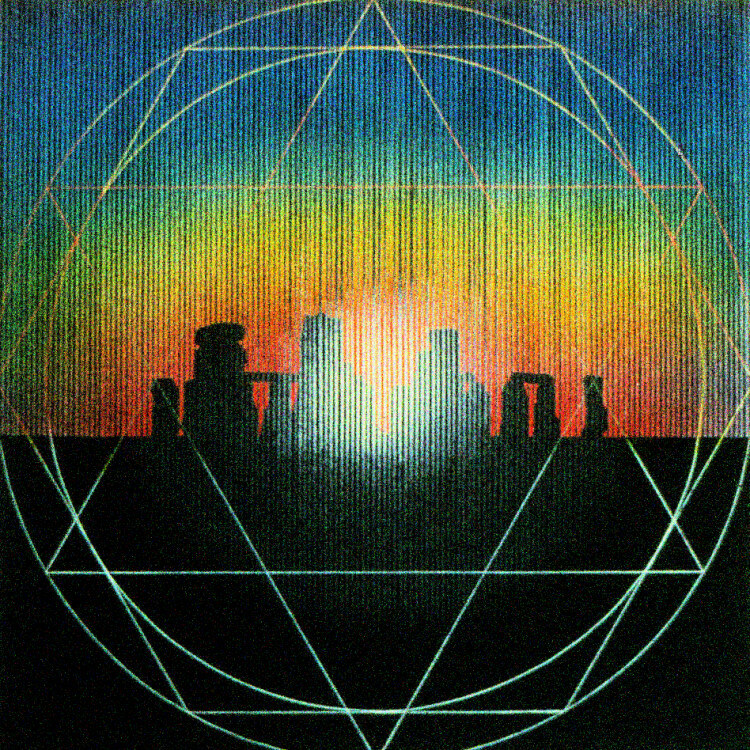 Philip Heselton was very involved with Earth Mysteries, and became more interested in paganism. And John Billingsley of Northern Earth. They are both a bit ‘that way’ I think, but not stridently so. Good luck to them. Paul Screeton isn’t. Paul got more into Fortean phenomena. Yes, as well as folklore, especially urban folklore. The founding editor of Fortean Times, Bob Rickard, and I worked together closely during the early days of his journal, and I still have a column with Fortean Times: I do a bi-monthly column on archaeology, but I look for the Fortean slant. The Pagan and Earth Mysteries and Fortean magazines all had exchange ads with each other. They must have had a shared readership to some extent. Yes. It was a loose collective. But when I started saying: 'Hold on, this isn’t true' to New Age ley hunting, people fell away and went off into other New Age areas. People need to believe. A lot of it is an escape from humdrum daily reality. My argument is that you can still be intellectually and emotionally involved with real mysteries. There are amazing things happening in the Universe and in the human mind. 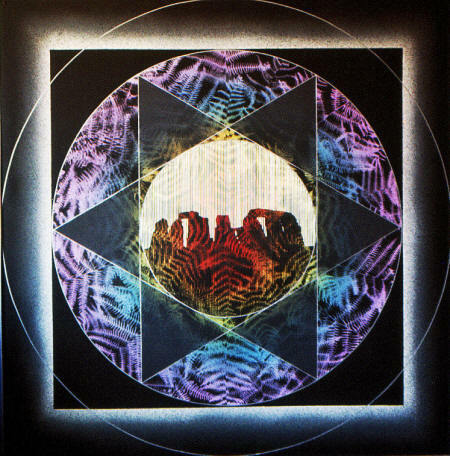 And to add a political note, I think New Age mush allowed the rise of the right wing across the Western world now. To an extent my generation allowed it to happen. We should have been a bit tougher instead of drifting off. But ecological awareness did come out of that period, which is a good thing that has persisted. Charla, your wife, writes about ecology and vegetarianism. She's mainly interested in Alternative Health. One of her books was a huge best seller - 900,000 copies sold. She has taken a similar approach to Alternative Health as I did with Earth Mysteries, i.e. trying to sort the wheat from the chaff. She started scientific courses in two American Universities. Plato said ‘go not beyond the beam of the balance’. That’s important. It means basically, that you can engage in non-mainstream stuff but you still need to keep it real.